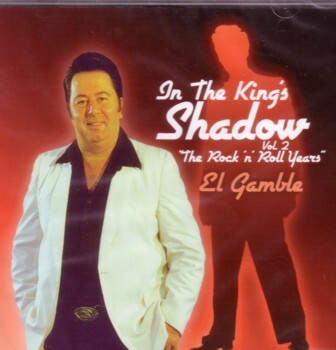 In Australian rock 'n' roll circles there are few names as revered as El Gamble. 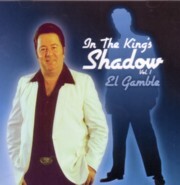 And the good news is the "Aussie" with the "Elvis" voice is back with three new albums, the first of which is In The King's Shadow Vol. 2 "The Rock 'n' Roll Years". 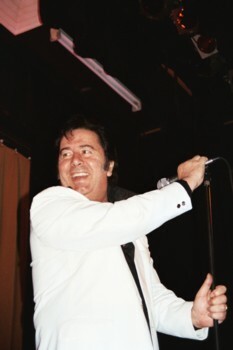 El Gamble is in that rare stratosphere occupied by only a handful of vocalists who sound remarkably like that young man who came like a tornado out of America's southern states to take over the world of popular music, Elvis Aaron Presley. Remaining true to the spirit of Elvis' original recordings of each song, El Gamble delivers 13 beautifully sung Elvis classics. 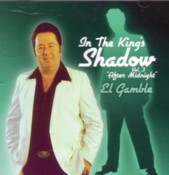 From the joyous thrill of Too Much to the toe-tapping resonance of Return To Sender, the second volume in El Gamble's "In The Shadow of The King" series has been well worth the wait. In keeping with the theme of its title, The Rock 'n' Roll Years, the album is heavily biased towards 1950s recordings with only four 60s tracks. The track listing is particularly pleasing in that includes several songs usually missing from tribute albums. And being a rock 'n' roll album, El Gamble has got the mix just right. The infectious I Got Stung is well complemented by the lover's lament, Don't, while another change of pace introduces the popular Marie, otherwise known as His Latest Flame. Where were you when Elvis returned from the Army? Well, when El Gamble breaks into the first lines of Fame and Fortune, his uncanny vocal resemblance is likely to stir up pleasant memories in your mind and bring a smile to your face. Similarly, a great version of Flaming Star transports those of us old enough to remember, to the back row of the movies where we juggled watching Elvis' latest film offering with other equally pleasurable delights. Oh to be young again! El Gamble effortlessly glides through the underrated I Need Your Love Tonight and is equally at home on the sublime, You're So Square (Baby I Don't Care), from Jailhouse Rock. Another underrated Elvis classic is the title song from The King's fourth film, King Creole. On this one El Gamble departs slightly from the original arrangement but still delivers an engagingly satisfying performance. Young and older lovers will enjoy Have I Told You Lately That I Love You while rockers will laud Lawdy Miss Clawdy. Those of you who can't make up your mind are well catered for by one of Elvis' most famous hit singles, the huge #1, Don't Be Cruel. Verdict: A classic Aussie rock 'n' roll icon delivers classic Elvis. Simply crack open your favourite drink, relax, and enjoy a musical journey full of pleasurable memories....guaranteed! To order any or all of the albums, Aussie fans can contact Event of Events on 1-300-732-863 (local call cost) and overseas fans can call +613-9763-6600. Event of Events has a very attractive pricing plan where you can buy 1 album for $20.00, any 2 El Gamble albums for $30.00, 3 for $40.00, and the set of 4 albums for $50.00. Postage is extra. The albums will also be available at El Gamble's upcoming gigs and plans are underway for them to be available through leading record stores. El Gamble will also be featured shortly on the Newmarket music site. 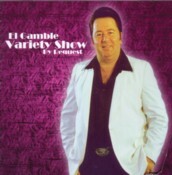 In other El Gamble news, his music has been featured on the popular Elvii Tribute Internet Radio network. 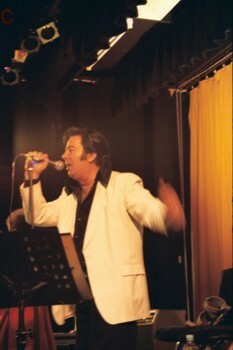 El Gamble was voted as the #1 Elvis tribute artist featured on the online radio network in early February 2006. Considering the competition, names like Doug Church, Tom Green and Jamie Coyne...that's a real testament to El Gamble's singing ability! If you like ETA's check out Elvii Radio...it's FREE and there are some great artists to listen to, including El Gamble!